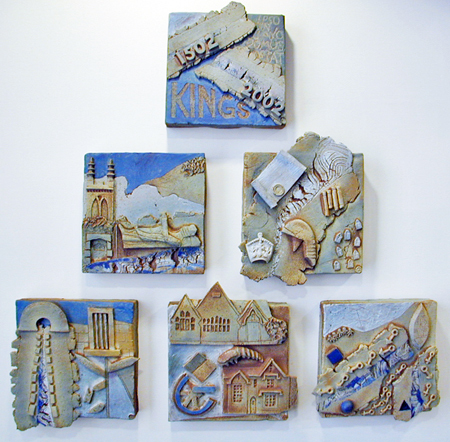 I was commissioned to produce a series of ceramic wall panels to commemorate the quincentenary of the King's School in Macclesfield in 2002. Six panels were produced, one for the title and one for each of the centuries that King's has existed. Some of the many significant historical events were symbolised in each panel.